A talk delivered in the Collections strand of the Museums + Heritage Show 2016, Olympia, 19 May 2016. 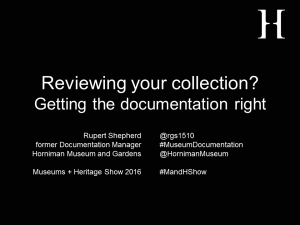 This talk relates to work that was done from April 2012 to March 2015, when I was still Documentation Manager at the Horniman Museum. 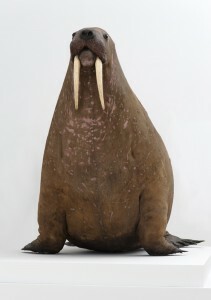 But since I’m now working at the National Gallery, I’d like to start by thanking my former colleagues at the Horniman for their help in correcting my dodgy memory and digging out pictures for my slides. Even though I’ve left, part of me will forever belong to the Horniman, so when I say ‘we’ during this talk, that’s who I mean. 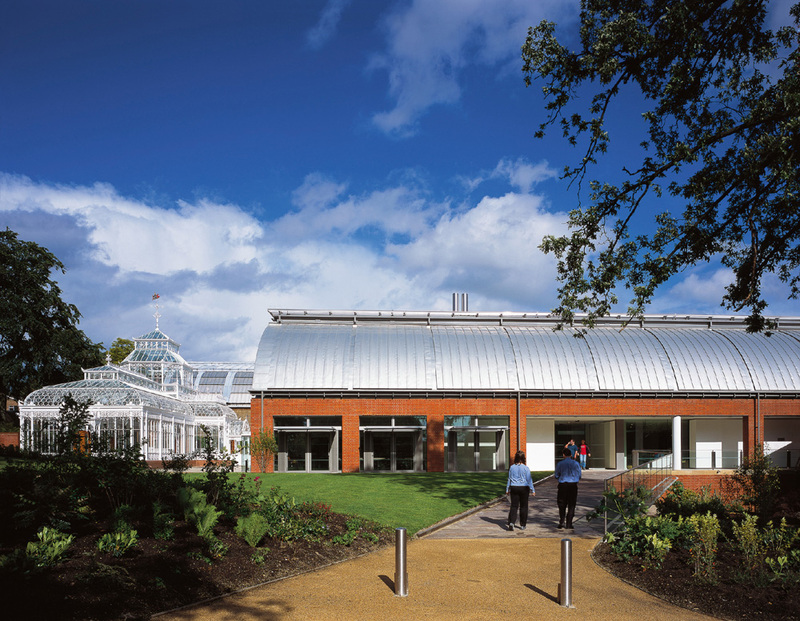 For those of you who don’t know us, the Horniman Museum and Gardens is a surprising, eccentric, family-friendly attraction in Forest Hill in south east London. 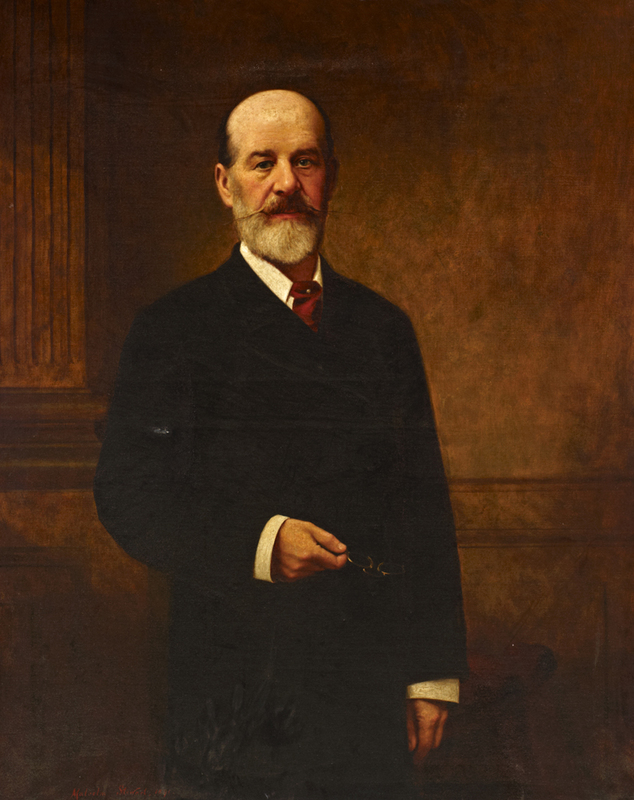 It has been open since the late nineteenth century, when the tea trader and philanthropist Frederick John Horniman first opened his house and extraordinary collection of objects to the local community. 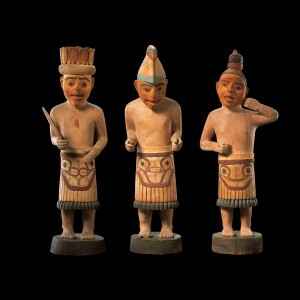 Since then, our collection has grown significantly and includes internationally important collections of anthropology and musical instruments, as well as an acclaimed aquarium and natural history gallery – all surrounded by 16 acres of beautiful Gardens offering breathtaking views across London. 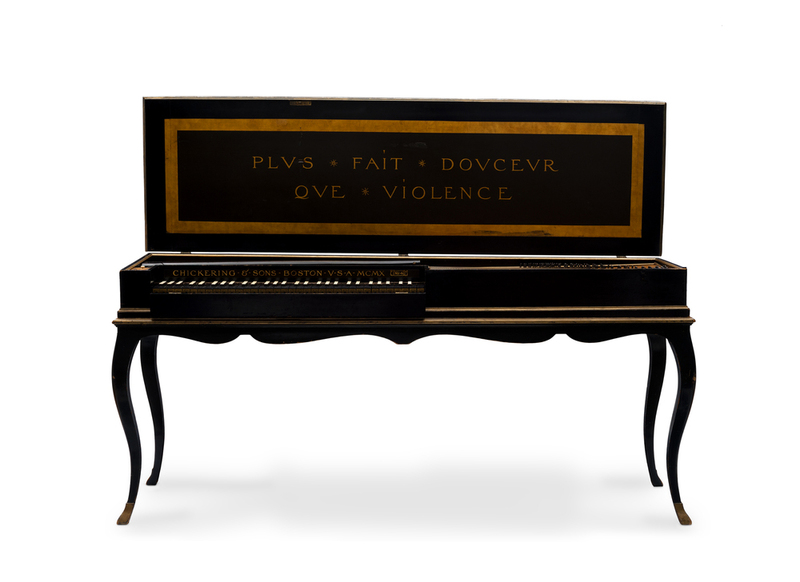 Chickering & Sons under the direction of Arnold Dolmetsch, clavichord (no. 4), 1906 & 1910, object no. 2013.352. Horniman Museum and Gardens. Photo: Dani Tagen. We aim to use our worldwide collections and the Gardens to encourage a wider appreciation of the world, its peoples and their cultures, and its environments. The Collections People Stories project set out to uncover the range, scale and importance of the Horniman’s anthropology collections. This included reviewing at least four key areas of our collection, using both academic expertise and community response; identifying star objects; and significantly developing our collections online and digital engagement. A further outcome of the project was a proposal for a redisplay of our two existing anthropology galleries, the Centenary Gallery and African Worlds. I will say now that this project was very well-funded through ACE’s major partnership scheme. But before you say ‘that’s all very well, him and all his money’, I hope and believe that the basic procedures we followed and the lessons we learned are transferable to museums of more-or-less any size. 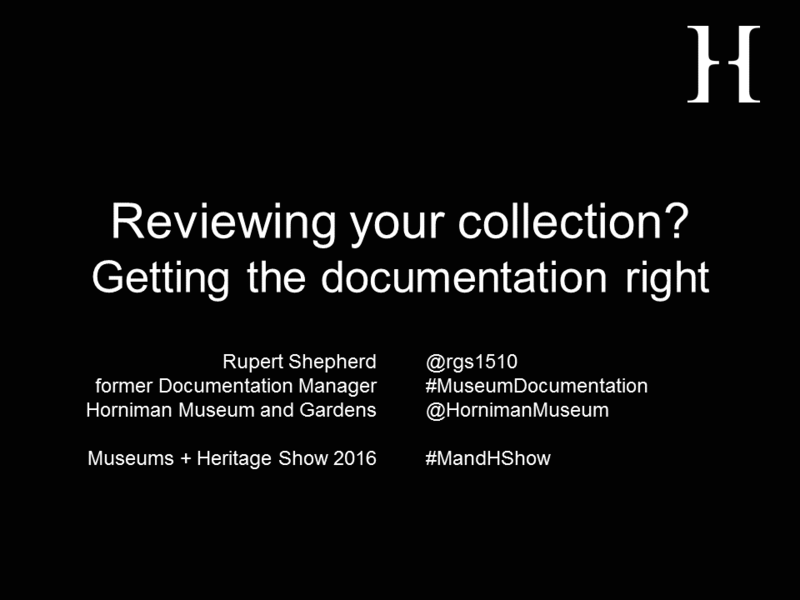 Run a pilot on a subset of the collection you plan to review. This will help resolve many questions before the beginning of the main project, and help you identify where you need to focus your attention, and show you where problems may lie before you start work. The Horniman’s documentation began in the 1890s, and since then has been migrated between a bewildering variety of systems. 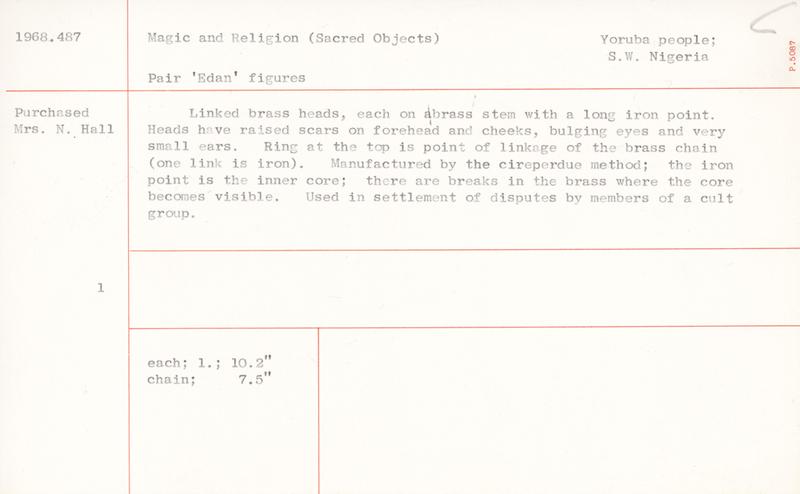 Page 89 of Richard Quick’s list of objects in the Horniman collection, ARCH/HMG/CM/002/001. Horniman Museum and Gardens. 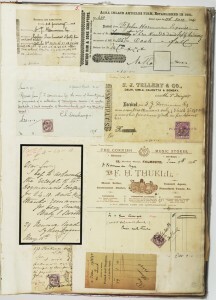 Page 5 of the Horniman Museum’s receipt scrapbook G, ARCH/HMG/CM/009/001. Horniman Museum and Gardens. 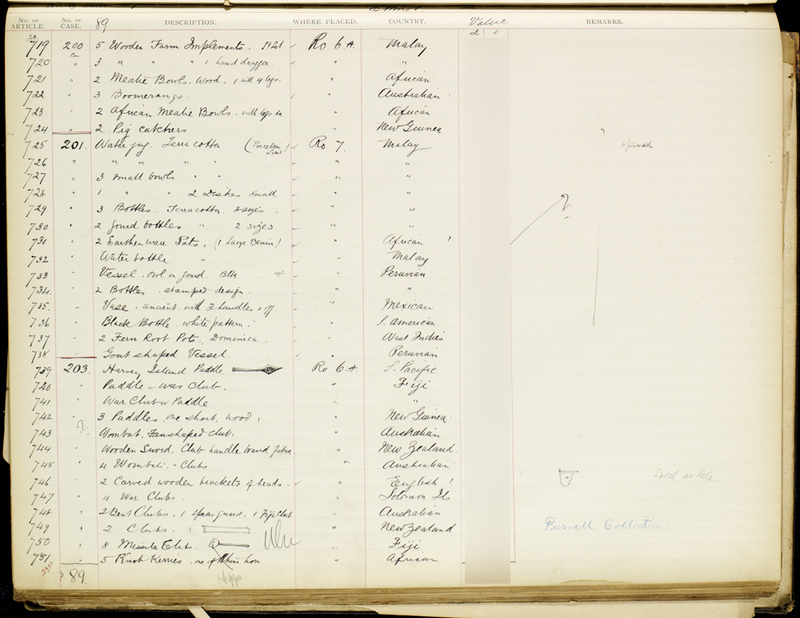 Page 89 of the Horniman Museum’s first Surrey House register, ARCH/HMG/CM/001/001. Horniman Museum and Gardens. 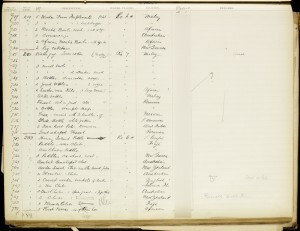 Page 65 from the Horniman Museum’s Samson register for purchases, ARCH/HMG/CM/001/007. Horniman Museum and Gardens. 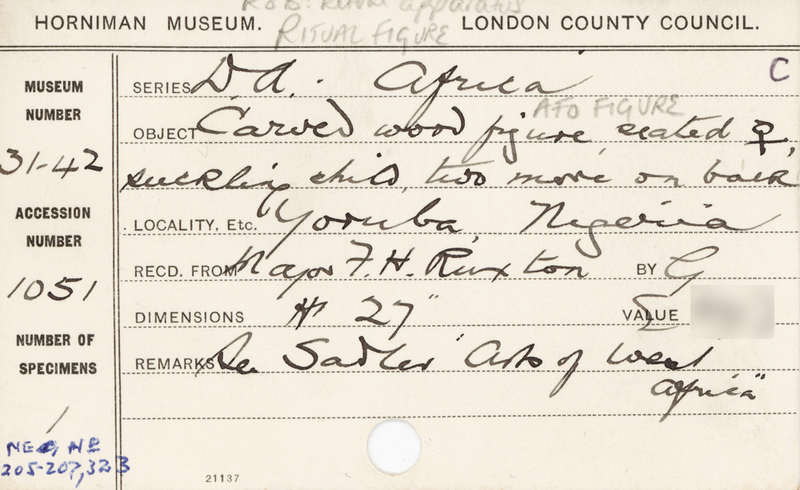 A pre-1947 anthropology index card from the Horniman Museum. Horniman Museum and Gardens. Photo: Rupert Shepherd. 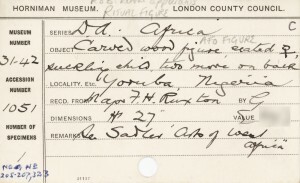 A post-1947 anthropology catalogue card from the Horniman Museum. Horniman Museum and Gardens. Photo: Rupert Shepherd. 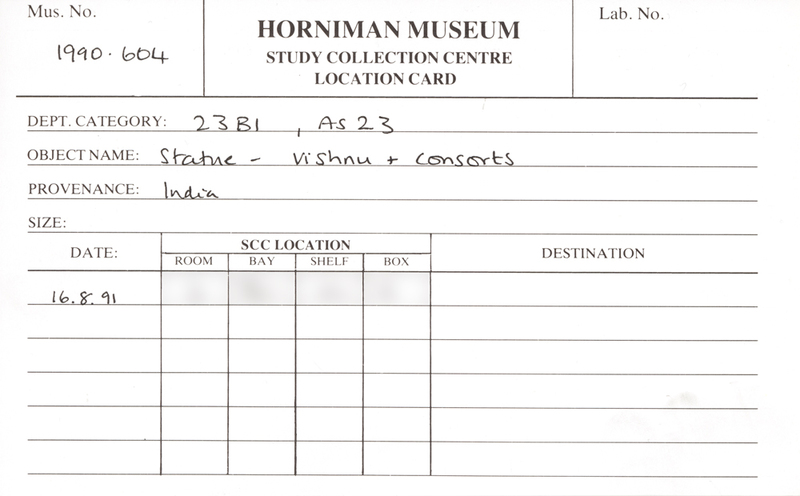 A location card from the Horniman Museum. Horniman Museum and Gardens. Photo: Rupert Shepherd. 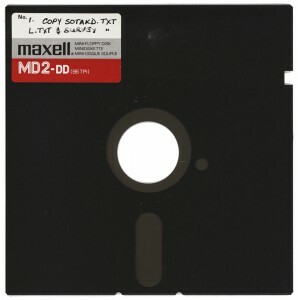 Early 1990s data storage technology: a 5¼-inch floppy disk. Horniman Museum and Gardens. Photo: Rupert Shepherd. A relic of Snap! at the Horniman Museum and mid-1990s data storage technology: a 3½-inch floppy disk. Horniman Museum and Gardens. Photo: Rupert Shepherd. 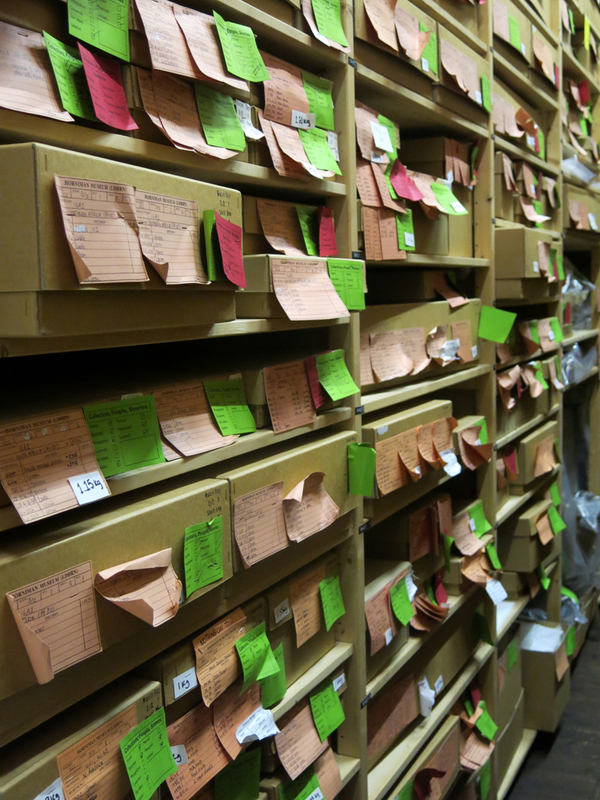 By the time the review began, we had allocated 19,339 temporary numbers to objects in the anthropology collections which had become detached from their original register entries. 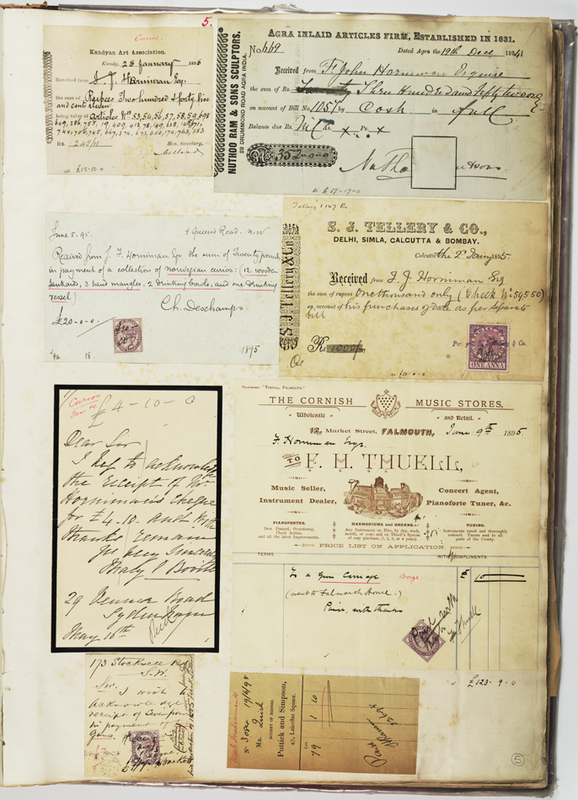 The first stage of work was therefore to go through the accession registers and make sure everything recorded in them was also entered in our collections management system, Mimsy. And then we made sure that the team was trained in what they had to do, and how to do it. 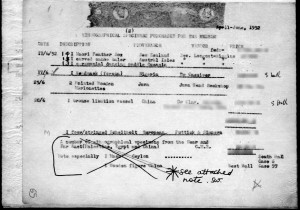 The process itself was straightforward: checking the register against the database and flagging any discrepancies, entering any records not yet in the database into the system, recording provenance systematically, and linking the images of the register pages to the relevant object records so they could easily be checked during the object review. Documentation/Collection Assistants Rachel Jennings and Nicholas Crowe reviewing objects during Collections People Stories. Horniman Museum, London. We set up a reporting system for this phase of the project which we continued during the main review, circulating a weekly ‘checkpoint’ report summarising the project’s status, work done, key achievements and problems, work planned for the following week, and graphs summarising progress. Similar monthly ‘highlight’ reports went to the project’s steering committee. 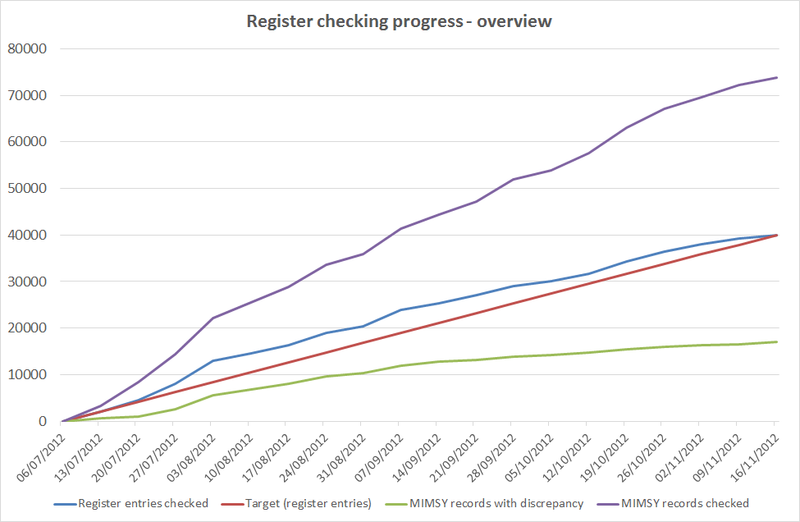 Overview of progress reviewing registers during the Horniman Museum’s Collections People Stories project, as of 16 November 2012. Digitise your registers before starting work with the objects, and make sure all registered objects are entered in your database. Whilst this will add objects to your database which cannot be found, it also means that you can easily search through the unlocated objects when you are confronted with something in the store that has lost its identity, making it easier to reconcile undocumented objects with their register entries. 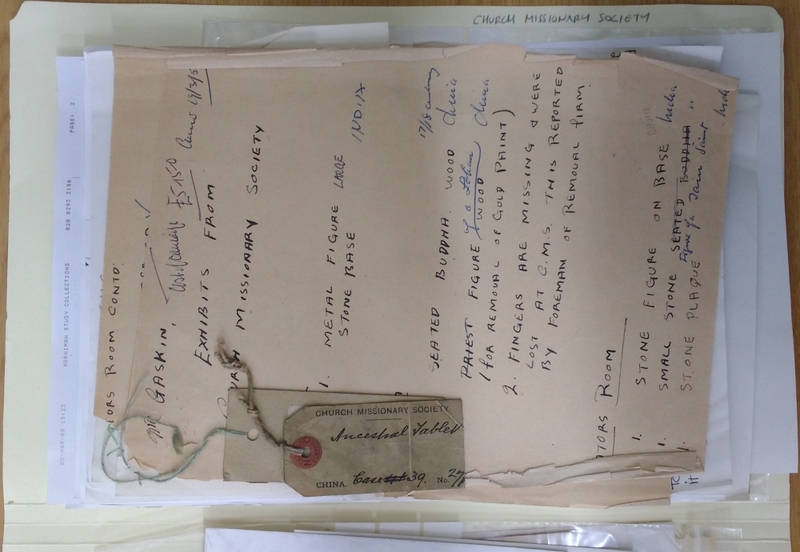 The Horniman Museum’s anthropology object history file for the Church Missionary Society, LDHRM/ARC/HMG/CM/007/A/CHURCHMISSIONARYSOCIETY. 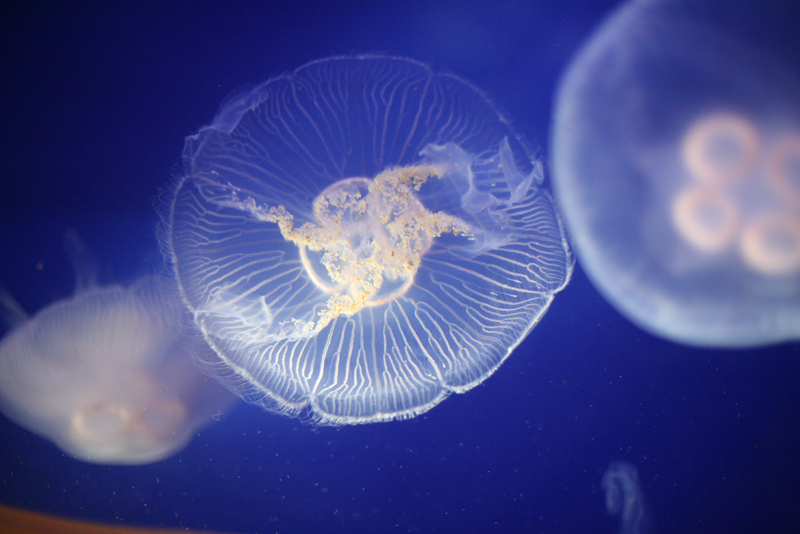 Horniman Museum, London. Photo: Rupert Shepherd. 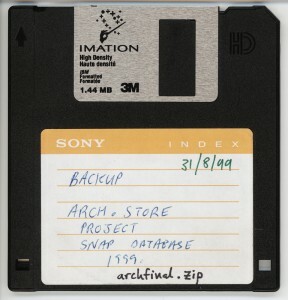 Go through the archives before starting work in the stores, and, if possible, link archive records to object records. 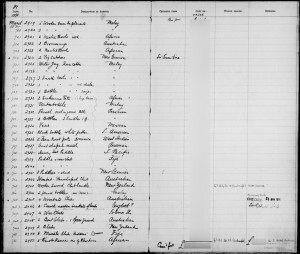 It helped the review teams, curators and external experts to know what records were available whilst working in the stores, and before organising visits. Try and bring all your documentation together alongside the objects. We spent a fair amount of time travelling from the stores to the main museum to check the history files for information like lists of objects acquired during particular fieldwork projects. We would have been able to work much quicker and resolve more problems, if everything was immediately to hand: the difference made by having the register pages scanned and attached to the object records made that very clear. 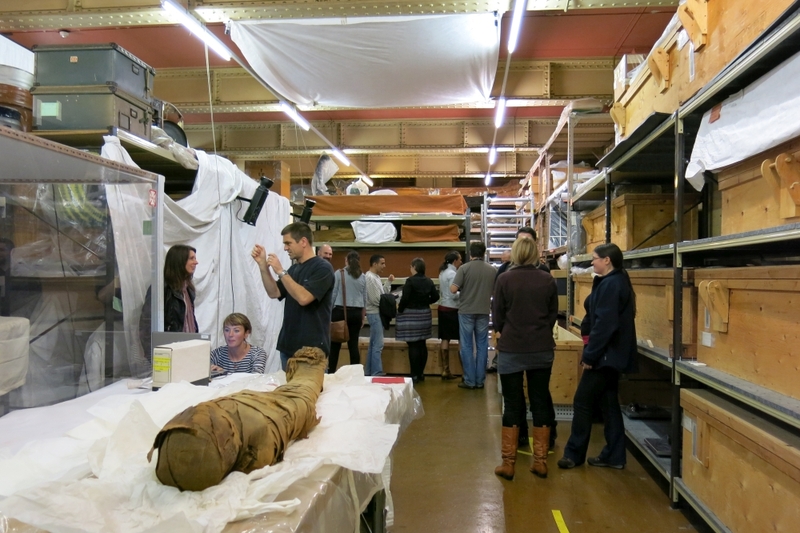 Discrepancies between registers and objects discovered during the review of registers carried out during the Horniman Museum’s Collections People Stories project, as of 16 November 2012. We began by making sure we had the necessary infrastructure in place, starting with an overhaul of the SCC’s network – although this continued to cause us problems, leading to the installation of new network switches and Wi-Fi access points during the project. We also needed to create space for the project to happen in, clearing out the large objects which filled our main ground floor hall into external storage for the duration of the project. 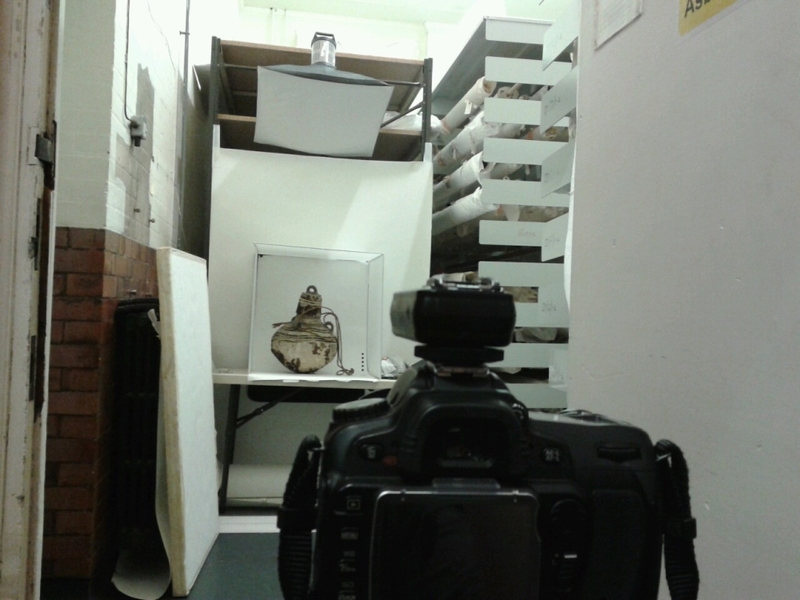 Hall 1 of the Horniman Museum’s Study Collections Centre in its usual state, packed with large objects. Horniman Museum, London. Photo: Laura Cronin. Horniman staff and visitors in the Study Collection Centre’s Hall 1, emptied for the Collections People Stories project, during the Petrie study day, October 2013. Horniman Museum and Gardens. Make sure your infrastructure is as good as it can be from the beginning: in particular, if your documentation is computerised, fix the network before you start. This will save a great deal of time and your teams will be much happier. Be realistic about space and resources; in particular, it’s much easier if you don’t do two different collection reviews at once in the same space. If necessary, you may need to restrict access to the stores whilst you’re carrying out the review. This may be frustrating, but should lead to greater access after the project, because you’ll then actually know what objects you have. 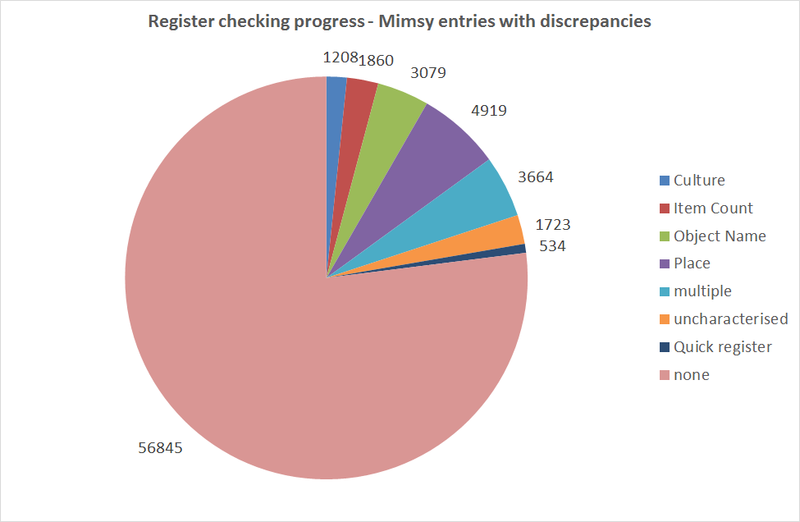 We also reconfigured Mimsy again to match the work that would be done in this phase of the project, revising the main screen and adding new terms and reports for flagging objects. 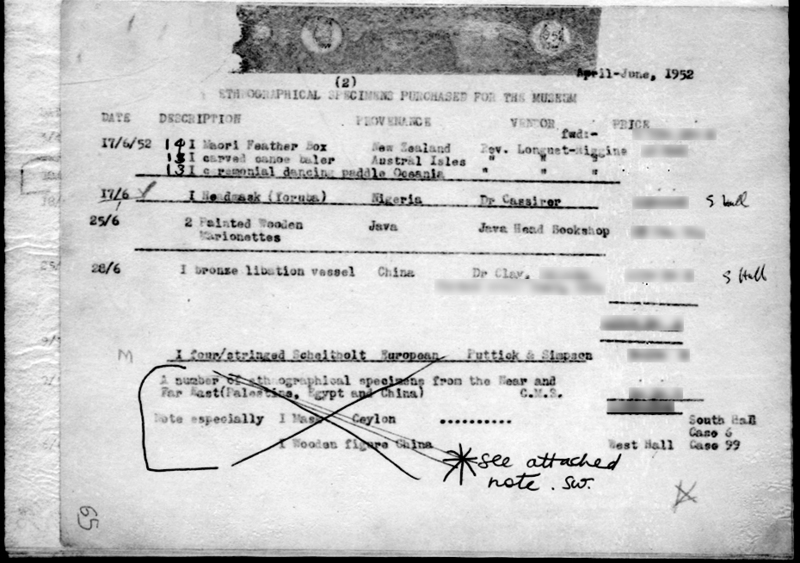 We set up the system’s ‘Actions’ area to record problems with records and whether they had been resolved, and the ‘Instructions’ area to record particularly sensitive objects. The Horniman Museum’s standard Mimsy XG screen for anthropology and musical instrument data entry. Horniman Museum and Gardens. The Horniman Museum’s Mimsy XG screen for the Collections People Stories project. Horniman Museum and Gardens. Staff turnover is inevitable in a long project, particularly as your staff should be getting really good at their jobs; use the appointment of new staff as an opportunity to retrain and refresh everybody’s knowledge and make sure everyone is still working to the same standards. Move the review teams around, so that they work with different people and different objects each week. This keeps the teams interested, prevents friction from building up in a relatively claustrophobic setting, and helps ensure a consistent approach. If you have a tame one, use a campanologist to draw up the schedules: the variations you will need to create are quite similar to bell-ringing changes. 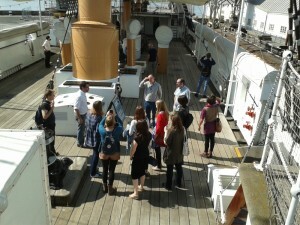 Perhaps inevitably, the ‘floating’ team member became known as Team Haddock. 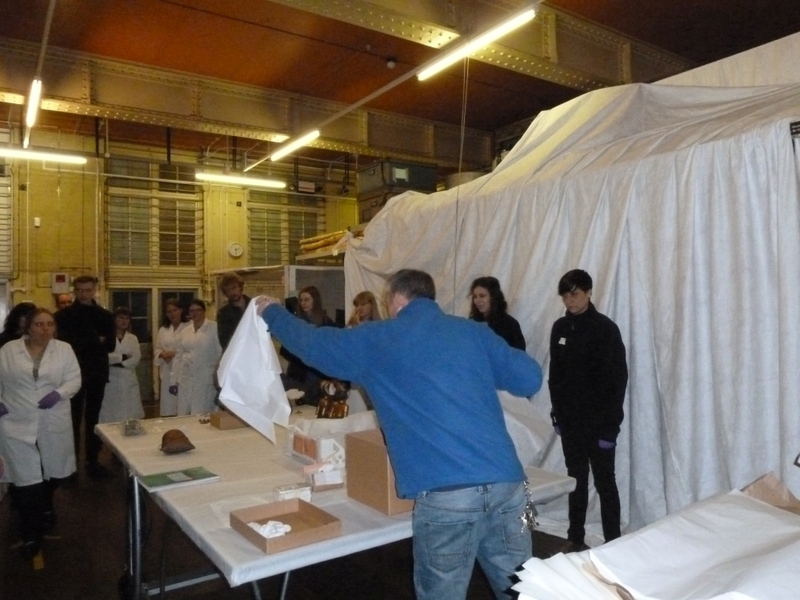 Collections Manager Adrian Holloway showing Horniman Museum Staff how to pack a box during the Collections People Stories training week. Horniman Museum, London. The training culminated in us testing our packing skills with an egg-dropping competition. We held a tea party at the SCC at the end of the week to mark the new phase of the review project. We chose the objects we would review according to how they were stored, which at the Horniman is mostly by object type, so that each team would be working with objects of similar size and materials together. Object types were prioritised by the curators, taking account of ease of handling and space available. Towards the end of the project, we also reviewed our monocultural collections which, as rich and extensive representations of particular cultures, were strong candidates for display. 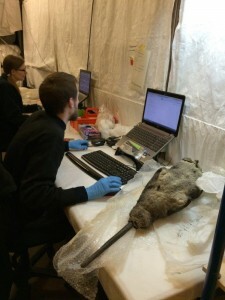 We also took the opportunity to sort out a group of objects which had not been properly documented since being removed from storage at the main museum during our last redevelopment around the Millennium. We quickly found that the teams worked best as pairs, doing some tasks in parallel but working together on others, rather than each member working completely on their own as an individual. Documentation/Collection Assistants Rachel Jennings and Nicholas Crowe reviewing objects during Collections People Stories. Horniman Museum, London. Photo: Laura Cronin. Be flexible. We all want to record everything we can about the objects, but we may not be able to. There’s no harm in starting with an ambitious programme, but be prepared to cut back on some aspects of the work if they’re stopping you from getting through the material as quickly as you need to. Be proactive in looking for hazards in the collections. Think about what the teams might find in the collections, and make sure you have the procedures and vocabularies in place to identify them clearly in the stores and the collections management system. Make sure your curators think of possible dangers and alert the teams before they reach them. 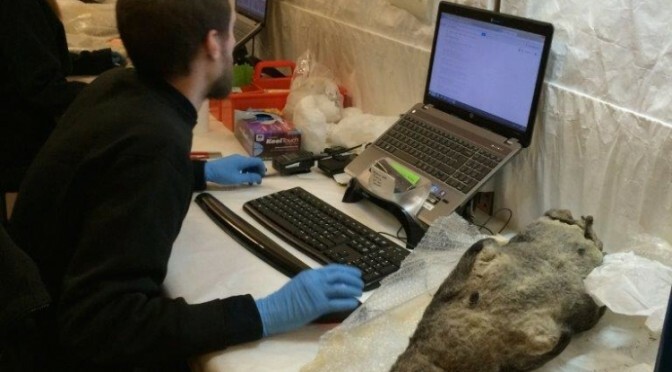 We had to delay the review of the weapons once the teams realised they were encountering objects that might have been poisoned, so that we could understand which objects might be affected, what toxins might have been used, and how we should manage the risks. Trust your teams to understand what they’re looking at. They’ll very quickly get their eye in: the only other place they are likely to see so many different objects in such a short space of time would be in the trade. They’ll also be aware of the limits of their knowledge. Our photographic setup was quite basic, using old 6 Mpixel DSLRs with macro and zoom lenses, a single studio flash and softbox, and a table-top light diffusing tent. 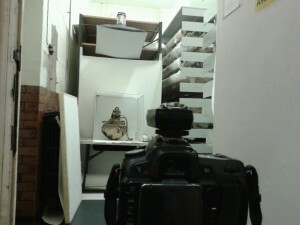 The standard photography setup used by the review teams during the Horniman Museum’s Collections People Stories project. Horniman Museum and Gardens. We also had Mimsy’s developers, at that point Selago Design, develop an image upload tool that allowed us to record much richer metadata than the system’s standard image upload scripts, as well as producing and renaming all the derivative files we needed. 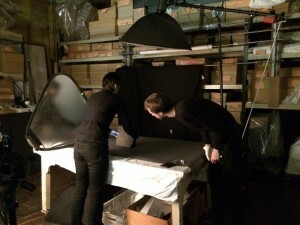 This made a huge difference to the speed with which we could process the photographs the teams had taken. With the photographer’s training, weekly checks of image quality, and practical help with awkward objects and tweaking the setup for different object types, the teams quickly learnt to take very good reference images with this basic equipment. 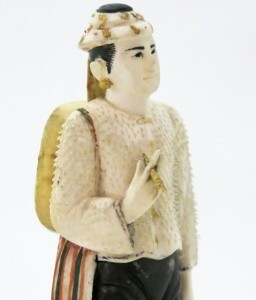 Model figure of a man displaying leg tattoo designs by raising the leg of his trousers, Burma, museum no. nn12207. Horniman Museum, London. Detail of a model figure of a man displaying leg tattoo designs by raising the leg of his trousers, Burma, museum no. nn12207. Horniman Museum, London. Non-photographers can take great photos – but they need to be trained in what makes a good photograph by a trained photographer. The equipment is less important than developing a good eye. In fact, we found curators were taking very acceptable photographs with the same basic setup and a newish digital compact camera. Which is not to say that you don’t need a professional photographer: you do need a trained photographer to set up workflows and systems, and quality-check the teams’ work – though you could employ one as a consultant to set systems up and come in every so often to review quality, if that’s all you can afford. Image checking and post-processing takes time – but is worth it as it significantly improves the quality and usefulness of the images. The developer of your collections management system is your friend: they may well be able to help you with tools and tweaks which will make your life much easier. Even if you have to pay for a tool, it may more than recoup its costs in the time it saves during the project. If there’s enough demand for a tool, you may be able to share development costs with other users – or ask the developers to add it to the next release. The Horniman Museum’s Photographer, Dani Tagen, assisted by Documentation/Collections Assistant Nicholas Crowe, carrying out professional-quality photography during the Collections People Stories project. Horniman Museum, London. Photo: Laura Cronin. An outrigger canoe with paddle, Kiribati, mid-late 19th century, museum no. 1952. Horniman Museum, London. Photo: Dani Tagen. The Collections People Stories project aimed to open up our anthropology collections, and one way we did this was by simply putting every object that had been reviewed on the web, increasing our online collections from about 2,500 objects to well over 30,000. Reference photographs of Horniman Museum objects, taken from the Museum’s website. The teams tweeted their work using the @HornimanReviews account, but they were also encouraged by our digital media team to use Tumblr to post images of interesting or unusual objects. This was a runaway success: our ‘In the Horniman’ account had secured 37,000 followers by the end of the project – as well as winning the social media category of the Museums and the Web conference’s Best of the Web Awards in 2014. A page from the Horniman Museum’s In the Horniman Tumblr blog, created by the Collections People Stories review teams. 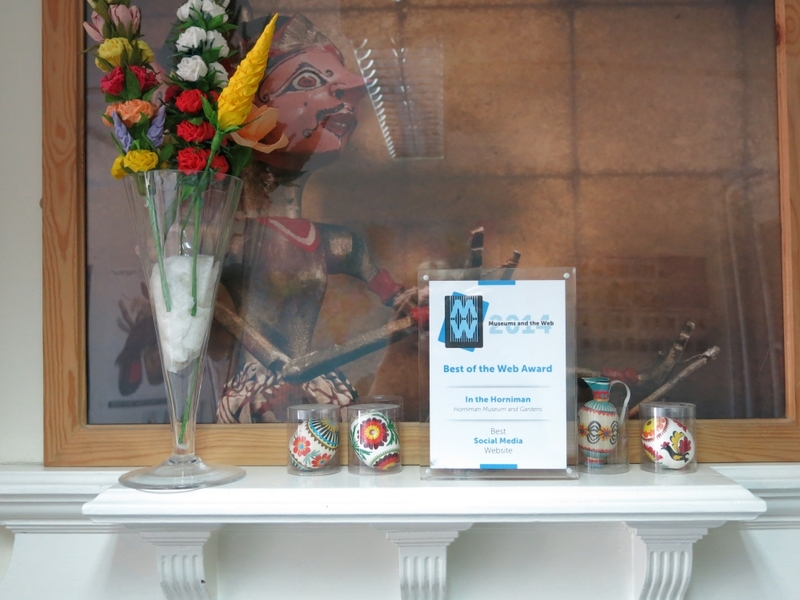 The Social Media Best of the Web Award won by the Collections People Stories review team for their In the Horniman Tumblr blog, on the mantelpiece at the Horniman’s Study Collections Centre. Horniman Museum, London. 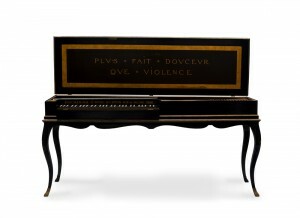 Be brave about putting objects online. An adequate record is better than no record at all, and people will let you know if they find a mistake in it. We also decided our default position would be to publish wherever possible, so unless it was very clear that publishing an object would cause offence, we put it online. We had no complaints. 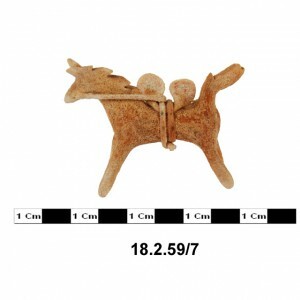 Advertise what you’re doing: social media loves a cheese horse – or anything that relates to work in museum stores. Trust your review teams and give them free rein: they’re closest to the objects, they’ll be sensible about what they post, and if they’re enthusiastic about them, this will lead to great social media, which can only help improve your museum’s profile. 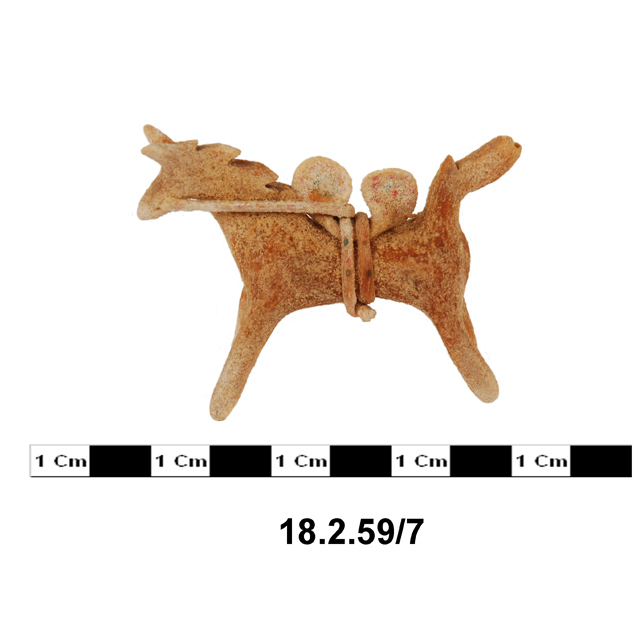 A horse made of cheese, Poland, object no. 18.2.59/7. Horniman Museum and Gardens. We followed the same basic reporting regime as we used for the register review. 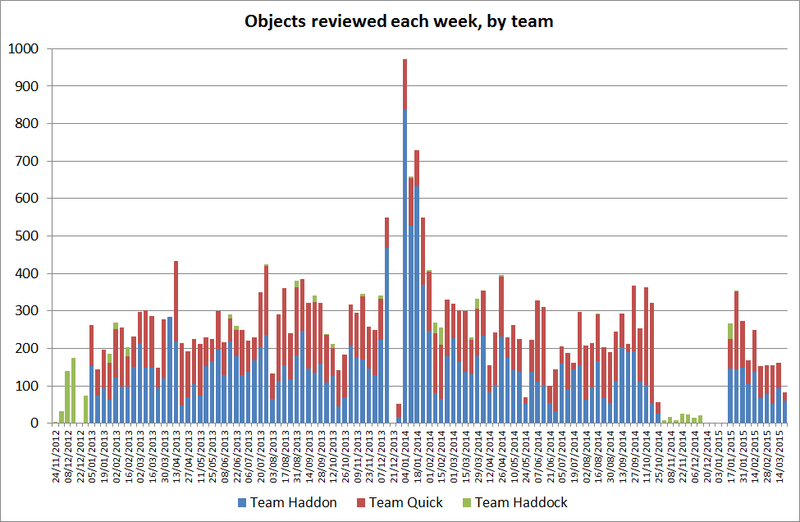 The graphs we produced showed the extent of the other problems which the review was revealing, including objects needing to be marked, measured and repacked. We did our best to resolve these using our regular SCC student placements. 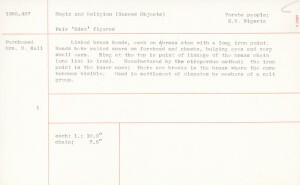 We used project budget surpluses to appoint various short-term members of staff to work on data backlogs: correcting our authority files for cultures and object names, and entering a mass of information about our objects returned by external experts in response to questionnaires sent out by the curators. Get your authorities straight first. It will save the teams’ time, make your data better and more consistent sooner, your searches will work better, you won’t have to spend time during the project dealing with problems caused by ambiguous termlists, and it’ll be much easier to add the new terms which the project will inevitably need. 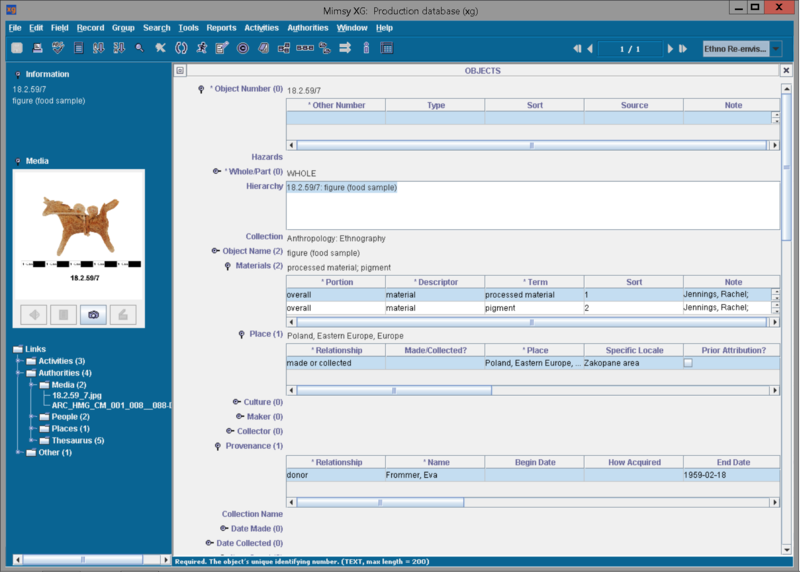 Plan how you will retrieve and enter information that is captured outside the collections management system. So, if you’re asking external experts for information about objects, think about how you can get them to structure their responses so the new information can be extracted, standardised and uploaded as easily as possible. We used project staff to address some of the other problems: the photographer dealt with image problems (completing the largest task, renumbering erroneously-numbered images, just after the review formally ended). Our biggest success was in reconciling duplicate records, to which the teams devoted several weeks over the winter of 2014-15. After a slow start caused by technical problems, and with the assistance of a newly-developed object record reconciler delivered by Selago, the teams made major inroads into the backlog which had built up during the project. 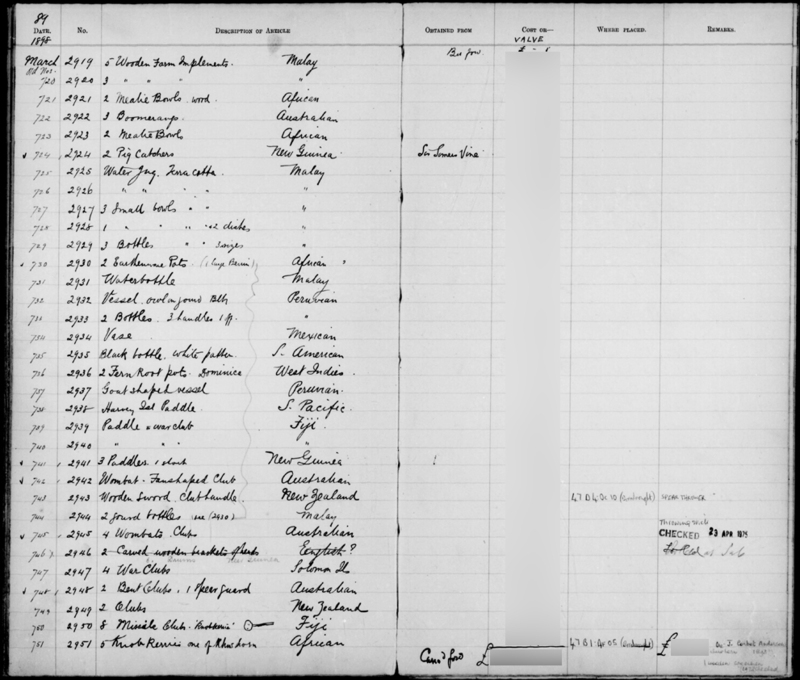 Overview of database records reconciled each week during the Horniman Museum’s Collections People Stories project, as of 28 March 2015. Be realistic about the project’s impact on your documentation and collections management teams: the review will need a significant amount of technical support, whether it’s tweaking the database’s configuration, drawing up report templates, creating new authority records, following up on problems identified during the review, supporting experts’ visits to the stores, helping retrieve awkward objects, or following up on the problems with badly packed or stored objects. If your staff are already just about managing to keep up with business as usual, make sure you have the additional resources you need to support the project. But not all these figures are entirely accurate: we primarily recorded whether objects had been reviewed and photographed, or needed follow-up work, so we weren’t particularly rigorous about ensuring that everyone flagged other work done. In particular, the review teams carried out a lot of marking and repacking as they went along, and this wasn’t captured. Monitor progress and report on it regularly, to the teams themselves and to the project more widely. Plan the figures you will need to collect to monitor progress at the beginning of the project, and set up a system to record them, extract them, and draw up the necessary reports at regular intervals. 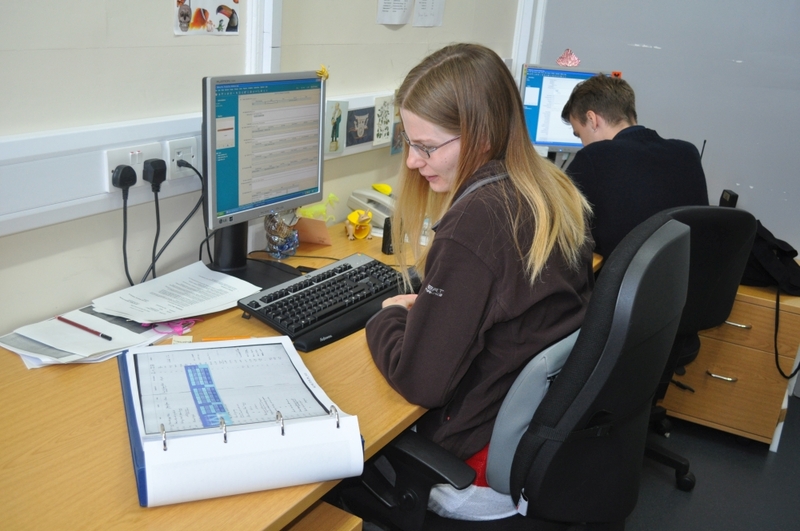 The weekly reports took the Documentation Manager about an hour to create; with some more thought and a bit more time investigating Crystal Reports, they could quite possibly have been drawn up even quicker. The same is true for identifying additional work that may be needed: set up a system for logging problems and further work that’s needed – and for signing them off once they’re completed. 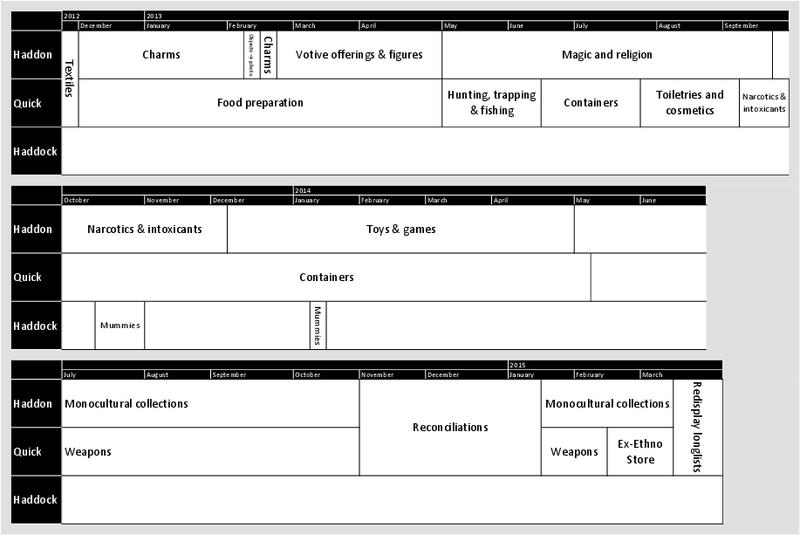 This will help reporting, and lead to a pleasing feeling of achievement as you see how much work is actually being done. 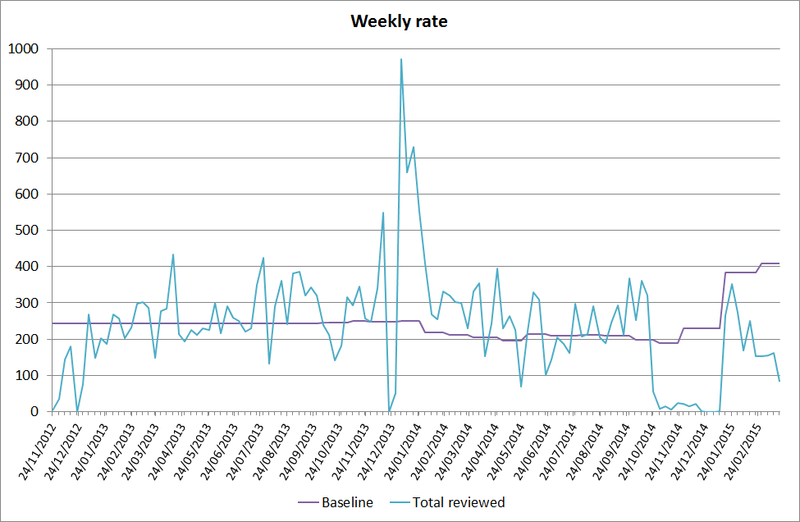 The graphs we produced for the weekly reports meant that we could keep a good eye on progress, adjusting as we went along the baseline figure the teams would need to keep to if we were to meet our target. We also used them to keep track of photography. 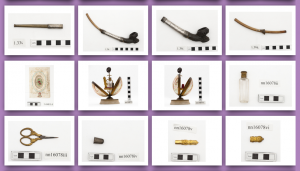 Overview of objects reviewed each week during the Horniman Museum’s Collections People Stories project, as of 28 March 2015. Weekly rates for objects reviewed during the Horniman Museum’s Collections People Stories project, as of 28 March 2015. More importantly, the whole review team, other collections management and documentation staff, and the project co-ordinator and sponsor, met every fortnight to review progress, hear about work done in the larger project, plan future work, and raise and resolve any problems as they occurred. A member of the review team, chosen in rotation, also attended the monthly steering group meetings, ensuring that the team’s voice was heard at the meeting, and they kept abreast of the project and its priorities. The regular reports meant that we were aware of significant events before they occurred – for example, reviewing 10,000 or 20,000 objects – allowing us to publicise them to the rest of the Museum, and to celebrate, whether with cake (an SCC favourite) or with a trip out to visit another museum, see what they were doing, and enjoy lunch and perhaps the pub afterwards. 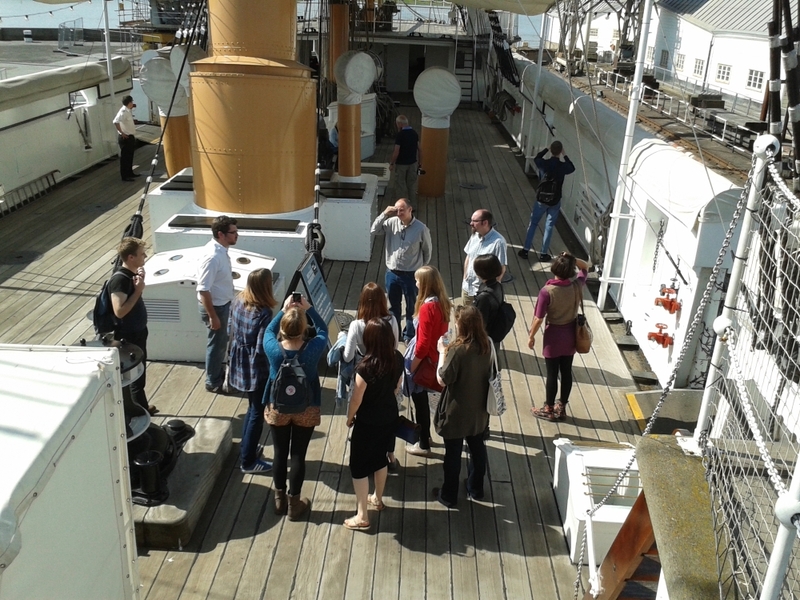 Staff working on the Horniman Museum’s Collections People Stories collection review visiting HMS Gannet at Chatham Historic Dockyard during an awayday on 16 May 2014. Photo: Rupert Shepherd. Hold meetings for all review staff and the project’s managers regularly, and make sure everyone has a chance to speak. Frequent communication means that problems will be quickly identified and resolved, and all participants in the project understand each other’s concerns, priorities and constraints. Celebrate your achievements frequently, marking notable milestones so that the teams feel their work is appreciated. 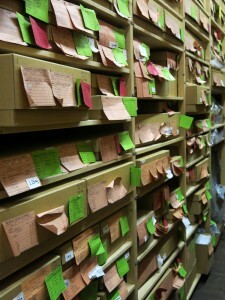 Shelves full of objects reviewed during the Horniman Museum’s Collections People Stories project. A green label denotes the box has been reviewed. 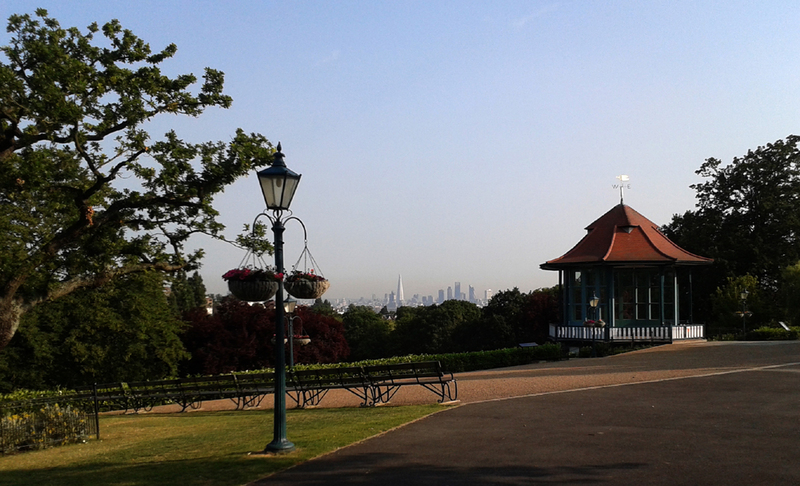 Horniman Museum and Gardens. Photo: Rupert Shepherd. – and won an award along the way. Plan and prepare; plan and prepare; plan and prepare. Time spent planning is never time wasted and, in retrospect, there were areas of the review that we didn’t anticipate but perhaps should have done. We hope that these tips will help other museums when they come to plan their own projects. Trust, value and support your staff. The people on the ground, doing the reviewing, are your greatest asset: they are knowledgeable and dedicated, and have the best interests of the collection at heart. Give them the chance to express this in the project, and the results will speak for themselves. 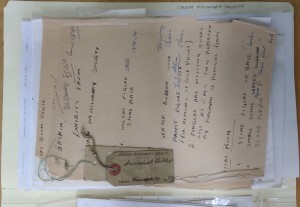 The Collections People Stories project has a page on the Horniman’s website. The redisplay project that draws upon the review is also called Collections People Stories; it, too, has a page on the Horniman’s website. 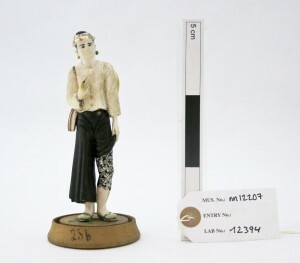 There are a large number of blog posts on the Horniman’s website relating to the larger Collections People Stories project, including several that are specifically about the collection review. 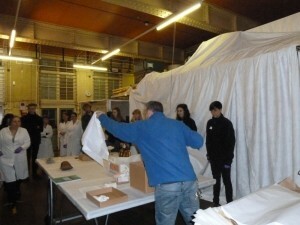 Chis Olver, the archive officer, gave a talk about the history file review to Horniman staff. Dani Tagen, the photographer, gave a talk about achieving good photographs with non-expert photographers [PDF] at the AHFAP annual conference at Tate in November 2013. 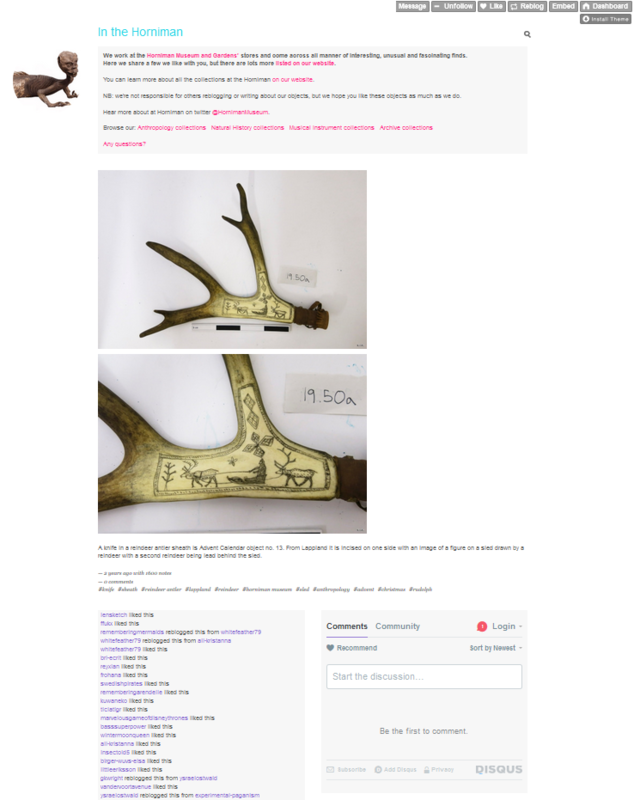 Rachel Jennings, one of the Documentation/Collections Assistants, wrote about the project’s use of Tumblr on the NatSCA blog in June 2015. The project’s Tumblr is In the Horniman.